Die Entsperrung ZTE MF65 mit einem Code ist sehr einfach. Das ist auch eine einzige und sichere invasionsfreie Methode um SIMLOCK zu entfernen. Der Code zur Entsperrung eines ZTE MF65 Telefons kann man nur aufgrund der IMEI-Nummer erhalten. Diese erscheint nach Tastatureingabe von *#06# oder nach dem Herausnehmen des Akkus. Die IMEI-Nummer befindet sich auf einem Informations-Klebezettel, wie auf diesem Bild zu sehen ist. Best Result... Very fast delivery of unlock code. Polecam. Otrzyma³em kod bez problemu. Simlok zdjêty. Wszystko dzia³a. Works very well. Use Paypal for Payment and be protected against fraud. 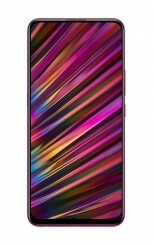 Wie kann man Code in das ZTE MF65 Telefon eingeben? Witam Jestem bardzo zadowolony z us³ugi,obs³uga telefoniczna na wysokim poziomie oraz wykonanie zlecenia. Polecam simlock24 szybko i nie zawodnie% zadowolenia. Ocena z du¿ym "plusem",szczególnie informacja o mojej decyzji w przypadku braku mo¿liwo¶ci realizacji zlecenia w okre¶lonym czasie. Wszystko ok, doskona³y kontakt , polecam. Blokada sim ZTE MF65+ zdjêta bezproblemowo. Successful unlocked of two devices. I will surely recommend to others for the nice an trustworthy service. Unlock my ZTE MF65M succesfully on time.. Trusted quality service. Looking forward for immediate response on my next order. Thanks a lot. It works like a charm. I received the code within 2 days. Polecam. Szybko, profesjonalnie i tanio. Telesystem Toruñ. je suis plus que satisfait des services de (déblocage 24)... services rapide et très fiable. its working great after receiving the code.. i got this site via google and i cant than you enough. Super. SIMLOCK zdjêty w oko³o 2 godziny. Bardzo sprawna realizacja. Po podaniu numeru odblokowania przychodzi e-mail oraz SMS na numer podany przy sk³adaniu zamówienia. Polecam. The process was very straightforward and intuitive. Paid for my code and received it within 45 minutes via email. The code worked flawlessly along with the instructions on how do perform the unlock. Job well done. Very good service, Worked perfect and it was very fast. Muito bom o serviço, funcionou na perfeição e foi muito rápido. It takes two days before I received my code. At first I thought its another scam website but I was wrong. I received an email that the code is already on the purchase confirmation page. I immediately tried the code and it works Thank you so much. You guys deserve this 5 stars rating. Don’t have words to thank you guys. 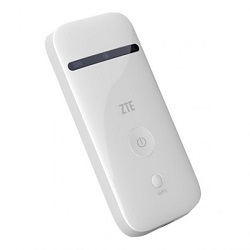 Really fast service, less than 15 hrs to complete the order and I already had the code to unlock my ZTE MF65m. Don’t be afraid of ordering they’re trust people.